For Shahid Kapoor fans (or should we say, Shanatics), February 25 is a special day. After all, their favourite star turns a year older today. Here's wishing this amazingly talented actor and a fabulous human being - Shahid Kapoor, a very happy birthday. Well, it is hard to believe that Shahid Kapoor turns 37 today. I mean c'mon, thirty-seven? Are you freakin' kidding me? Either we are stuck in 2005 or Shahid can seriously give any 25-year-old a run for his money. The actor, with his new look for Batti Gul Meter Chalu, just keeps looking better with each passing day (And no, by that, we don't mean he didn't look good yesterday. We love him and will always swear by his suave personality). We got to see very little of him in 2017, with just Rangoon (which released on his birthday last year) hitting the headlines. However, it's amazing how 2018 has started off with a bang for the fabulous actor, as he 'royally' entered the 500 crore club with his flawless portrayal of Maharawal Ratan Singh in Padmaavat. As well wishers, we truly hope this year turns out to be yet another milestone year in Shahid's career! And now, on to the post. Honestly, we don't really need a reason to love him. I mean, just look him. He is such a charmer! 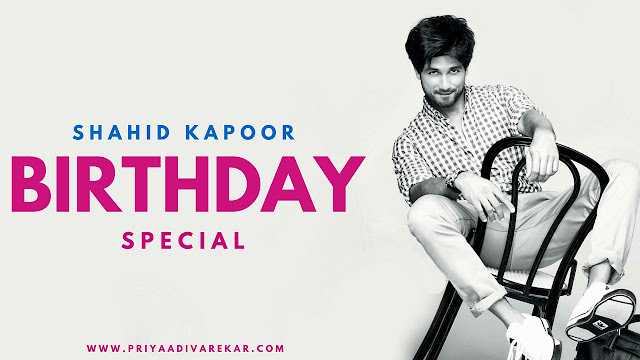 Nevertheless, we decided to give you 37 reasons to love the birthday boy - Shahid Kapoor. Here we go! Shahid is one of the very few actors who has made his way up there on his own merit. We all know that he believed in the 'Impossible is Nothing' mantra and needless to say, has come a long way with several awards in his kitty today. Oh yeah! He's got the moves like... err Shahid. The actor is blessed with two fabulous feet that can dance and how. He has got the perfect blend of foot work and expressions, which is very rare. Easily one of the best dancers in Bollywood today. People who have interacted with Shahid will tell you how humble the actor is! He prefers being modest and allows his work to do all the talking. Be it the way he winks or the manner in which he folds his fingers while walking / posing. Or even the way he brings his index finger close to his lips while thinking (or better - the 'shut up' pose). We have some very cute observations of Shahid that we just can't get enough of! The actor can't live without a dose of music in his everyday life. So much that a few years back, he had even set up a music mixer at his place and would often post Instagram videos of himself, experimenting with sounds. He even shared playlists and recommendations from Sound Cloud on Twitter. Those around him will tell you that Shahid's energy and enthusiasm can be quite infectious. Even his interviews are full of fun. Even on the dance floor, there is no stopping him, as the actor is known to get 'high' on dancing and non-stop music. We respect anything and everything that an individual does as a personal choice. For Shahid Kapoor, turning vegetarian was nothing to do with religion or being forced. It was a personal choice and must say, PETA was right in calling him one of the hottest vegetarians alive! Shahid has always been close to his family and it is always a delight to watch him talk about his father, Pankaj Kapur. The actor looks up to his father as an idol and respects his work. So much, that while working together in the film Shaandaar, Shahid unknowingly ended up giving some really OTT (over the top) shots on the first day, just because his father was around. It took some time for him to get comfortable. Ever tried looking in to those dreamy eyes, only to get lost for hours? Well, we haven't either. But those who have, are proof that those magical eyes are everything. Just like any other elder brother, Shahid is extremely protective about his siblings. He is often seen praising Ishaan and Sanah on Twitter for their respective talents. While the latter made her debut with Shaandaar, the former is all set to make his mark with Karan Johar's production venture - Dhadak. And of course, Shahid has confessed that he has always got their back. Sweet, no? Shahid has never shied away from experimenting with his films or characters. If he is Haider Meer, he gets ready to turn into Jamadar Nawab Malik and then, Maharawal Ratan Singh; one film after another. The actor believes that there is no fun in doing anything that has already been done. Seen those images of Shahid posing with his wife, just after the wedding ceremony? Or even those where the paparazzi snapped the duo outside their house? What's common between the two? The fact that Shahid never lets go off his wife's hand and is extremely caring. Remember this quote? "When I fall head over heels in love with a girl, I will tie her to my side and never let her go." Well, now we know. Shahid is also known to be very close to his mom. The actor, who spent his early years in Delhi and later shifted to Mumbai, gets his dancing genes from Mom Neelima Azim (who is a renowned trained classical dancer). Shahid likes being in an ambiguous space, where he can figure out how he can fit into a role and give his best. He is one of the very few actors who finds ambiguity (while making a film) very exciting. Well, no wonder he always manages to impress us with his new avatars. Well, we are not big fans of the big beard look. But one look at Shahid in a beard and we had to change our opinion. No one makes a beard look that good! Experiments are not just restricted to roles. We have seen Shahid change multiple looks in the past couple of years. From the clean shaven chocolate boy to going bald, sporting a crew cut and even a man bun, the actor has done it all. Tough to choose a favourite, though. The actor loves to keep it simple and casual. He is one of the few actors who can make sports luxe look great even on the red carpet. The easy going, casual vibe of his outfits have now become a signature style. While off duty, he loves his gym tracks and ganjis. Doing a film like Haider, stepping into the shoes of Haider Meer, giving the film your all and believing Vishal Bharadwaj's vision. If there is anyone who could do this and come out with flying colours, it was Shahid Kapoor! We can never stop praising his work in this film. There have been instances where the actor got hurt or has shot under extreme conditions, just to ensure that he leaves no stone unturned to make his shot / dance track look good. For instance, the actor ended up with multiple bruises while rehearsing for Gandi Baat, but he didn't allow any hurdle to stop him working dancing like a dream. Very few actors can get that transition right, but Shahid does it with ease. If he can win hearts as the charming Aditya Kashyap or be the loveable Prem, he can also do the Gandi Baat in R... Rajkumar and make you go Dhating Naach as the fake cop Vishwas Rao in Phata Poster Nikhla Hero. The actor is known to be a private person and loves hanging around with his pals. Apart from a few of his school and college friends, he is also known to be good friends with designer Kunal Rawal and producer Madhu Mantena. It was cute to see him perform at Mantena's sangeet and being a constant support during the wedding festivities a few years back. With his flawless portrayal of Aditya Kashyap in Jab We Met, Shahid Kapoor made us believe that Mr Darcy (Pride and Prejudice) exists. The actor gave us an Indianised version of the popular character in the form of Aditya (Jab We Met). Less talk, coz Aditya's eyes did all the talking. The actor has confessed that he loves simple, home cooked meals. He loves his share of ghar ka khana, especially Rajma Chawal. But what's interesting is the fact that Shahid can cook and loves making parathas - be it aloo or cheese. Also, he isn't too fussy about his food. He is as comfortable eating at a roadside stall as he is in a fancy restaurant. Shahid is known to have a fleet of luxury cars, including a customised Jaguar. But, he also loves his Harley Davidson Fat Boy. The actor is a fan of long drives and likes to zoom around on his bike or car during free time. While Shahid continues to confess that he is still trying to figure out his personal style, his sartorial choices have always made heads turn. The actor loves his tuxedos and is often seen making a dapper appearance at award shows and events. In fact, he has been awarded with several Style Icon awards as well. Our favourite look on him? The sleek black tuxedo. Shahid can give even the laziest man on planet earth some serious inspiration to get up and workout! If that lean, toned body wasn't enough, the actor often posts videos and images that give us major fitness goals. But, there's one thing you must know - like a dedicated fitness lover, Shahid likes to focus on his workout during the session and avoids every other element - including selfies or even posing for pictures. For fans who want a picture or autograph, the actor patiently takes time out post his workout and obliges their requests. Now, if you ever need a fitness idol, Shahid is the one. Hell Yeah!!! Love drive and rajma chawal loving, music and cinema enthusiast. Someone who can never stop gushing over Scarlett Johansson's smile. The kind of guy who loves exploring new sounds, artists on Sound Cloud and swears by the beaches of Goa. He is so much like us!! While we love his sense of humour, we are also fans of his philosophical thoughts. Although the actor denies being philosophical or giving out motivational gyaan, his thoughts and quotes have often inspired folks on social media (and even us, during interviews). In fact, there is also a Twitter fan account dedicated to his quotes. Shahid likes being focused. His dedication towards his work and himself (be it while working in a film or working out at a gym) is awe inspiring. He is also known to be a perfectionist and believes in giving his best. If you follow the actor on social media, you can't help but adore his goofiness. Shahid's Instagram or Snapchat filter videos are an absolute treat! His random videos are sure to crack you up. Don't believe us? Watch this! Everybody knows that Shahid shares an extremely special bond with Maamu, his man friday who has been with the actor since the former's kiddie days. He is also known as Shahid's one man army and the actor can't do without him. Shahid's love for his 'maamu' is absolutely adorable! We loved him in Kaminey! It takes some real guts to take up a film, which takes you out of a comfort zone and pushes you to do something completely different, at a time when you have given a blockbuster hit like Vivah - a family drama. But, Shahid accepted this challenge like a pro and the result? An award winning performance. Oh, and no one can run the way he did. Period. Despite all the glamour and spotlight that his occupation brings along, Shahid likes leading a normal life. After a long day at work, he loves enjoying his cuppa with loved ones, chit - chatting and watching the world pass by. Some of his Instagram videos, where he is often seen enjoying sunsets while sitting at the deck of his suburban residence, are also proof. Don't we all love doing that too? Shahid's life revolves around his darling daughter - Misha (who is absolutely adorable). The doting dad confessed that his life changed and took a beautiful turn, ever since the little angel was born. He is loving every minute of this role. We love how Shahid took to his social media account and introduced his daughter with an adorable post. Since then, we have been blessed with some oh-so-cute images of the daddy-daughter duo, that makes our heart melt! Keep em' coming, we say. Shahid has always been vocal about his love for all the fans, who keep supporting him no matter what. His 'Shanatic' fandom is huge and has spread across the globe, right from Russia to Germany, Australia to Canada. There are several fan accounts dedicated to the actor and he acknowledges their love and faith in his work by checking their creations, special tweets and even replying to some of the fans. 37. That dimpled smile is everything! Aap samajh gaye ya main aur bolun? Have a wonderful birthday, Shahid! 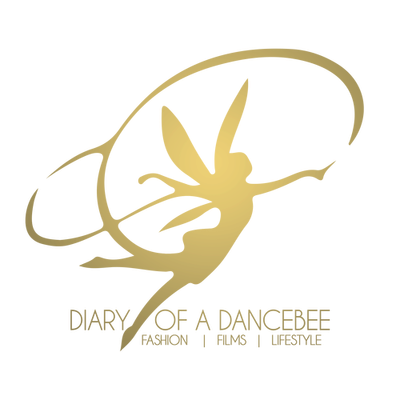 Best Wishes from all of us at Team Dancebee. We love you.